Are you or a loved one struggling with addiction and/or a mental illness? 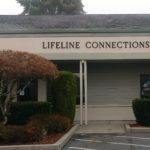 Lifeline Connections is a Pacific Northwest Substance Use and Mental Health Treatment Center Providing Services Since 1962. Lifeline Connections provides medically-assisted detoxification and substance use treatment to help patients attain mental and physical stability without harmful side effects. We provide caring compassion and are dedicated to helping our patients reach their goal of sobriety and freedom from drugs and alcohol. Our residential program provides an intimate setting for substance use treatment. Individuals are able to focus solely on their treatment and recovery as they live on site. They will work with their counselor one-on-one and in group sessions. Lifeline Connections offers comprehensive and confidential outpatient substance use treatment options. Individuals are provided individual and group sessions that may include some combination of intensive outpatient treatment with weekly or monthly meetings. Lifeline Connections provides mental health outpatient treatment to those with a mental health condition or a co-occurring disorder (i.e. mental health and substance use disorder). We work with our clients every step of the way to help them discover and build their own strengths. Lifeline Connections specializes in treatment for those addicted to opioids and alcohol by offering medication to assist in the recovery process (e.g. Suboxone® and Vivitrol®). We emphasize the importance of regular medical care, family counseling, support groups, one-on-one and group therapy in our medication assisted treatment program. Lifeline Connections offers substance use treatment for deaf and hard of hearing individuals. Our counselor uses American Sign Language. We are proud to offer this program, which is one of only a few in the nation. Lifeline Connections provides testing solutions for companies and other treatment programs in the surrounding areas that require pre-employment screening, rehabilitation monitoring, post-accident, safety-sensitive, for-cause or random screening. Lifeline Connections works closely with the Clark County Superior Court, Clark County District Court, and Clark County Jail to provide treatment services for people who are allowed to choose to get help for their addiction instead of going to jail or having additional legal issues. Join us and support recovery and behavioral health programs for Lifeline Connections at our 2nd annual breakfast fundraising event. Guest speaker Christopher Poulos will share his incredible journey “From the Big House to the White House,” and we will highlight some exciting new programs here at Lifeline Connections! CARF accreditation demonstrates that our organization is committed to reducing risk, addressing health and safety concerns, respecting cultural and individual preferences, and providing the best possible quality of care. Our mission is to inspire hope and support life saving changes for people affected by substance use and mental health conditions. If your particular insurance plan or insurance is out-of-network, we work with your insurer to secure an agreement for payment of your care. Lifeline Connections offers a sliding scale to those that qualify and also offers treatment package discounts. Please contact our admissions office for more details.